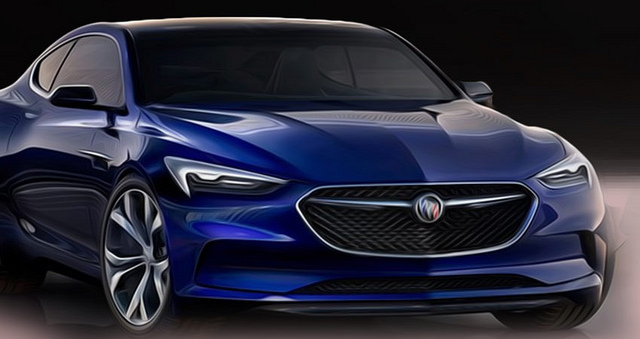 The Buick Avista is a gorgeous breath of fresh air from Buick. Over the past few years they have been trying to erase their stodgy image and the Avista does that easily. The sleek body lines, powerful grille, and elegant headlights and tail lights make the Avista an eye catching vehicle. This is an all new vehicle for Buick, and they swung for the fences with this one. Under the hood is a 3.0 liter twin turbocharged V6 engine, mated to an eight-speed automatic. The total engine output is a solid 400 horsepower. The Avista is a rear wheel drive vehicle. The interior is just as elegant as the exterior, with a spacious cabin and luxury styling. This is one vehicle that needs to go from concept to production model ASAP.